of existing colonies. The higher floor-area-ratio (FAR) permitted by the Plan will allow most houses to go up to four floors. put up solar panels to generate some power and build underground parking space. to build highrise tenements where slums currently sprawl. Each tenement will have a built-up accommodation of 25 sq m.
The Plan promises that 50% of all new dwellings in the city will be for the poor. At the same time, about 1,500 unauthorised colonies were legalised by the Union cabinet on Thursday (as reported by TOI on Wednesday). This has been factored in the new Plan. However, three upscale illegal colonies — Sainik Farms, Mahendru Enclave and Anant Ram Dairy have not been legalised yet. The final list of the legalised colonies has not been released as yet, nor the full Plan document. The plan's mantra is to develop housing through "a mix of redensification, redevelopment and creation of new housing in urban extension of about 20,000 hectares.
" The accent will be on group housing — in fact, only 10% of new land to be released will be for independent houses. by political expediency, some others believe that the way the city has grown can't be reversed altogether and the Plan, to that extent, is realistic. or if was it actually a blueprint for the city's future growth. Said Jaipal Reddy: "I am confident that Master Plan 2021 will stand legal scrutiny." it is difficult to assert that all slums will, indeed, go as their replacement by highrise tenements will depend on whether the government actually keeps its promise and coughs up with the money to build the tenements. An important aspect of the new Plan is that it ends DDA's monopoly on land acquisition and development of housing stock. accordance to para (ii) below. payment of charges as given in this notification. respect of plot size between 100 to 175 sqm. beyond that permissible vide notification dated 15th May 1995.
ground coverage permissible in that plot. may extend to the area below the internal courtyard and shaft. b. I ECS for every 100sqm built up area, in plots exceeding 300 sqm. deadline for traders to file affidavits before the Supreme Court on closing their establishments in unapproved areas. During the nearly two-and-a-half hour meeting, the Union Urban Development Ministry made a presentation before the GoM on the Master Plan. and rejuvenation of the Walled City, relief to schools and health centres from sealing, environment, heritage, power, water, parking and public transport. 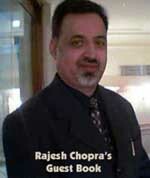 in mega construction projects and high-rise building activity in the city. The green belt proposed along the borders in 56 villages will also remain. explaining the position and seeking some more time for the traders. reviewed every five years so that issues pertaining to the changing needs of Delhi could be adequately addressed. that the draft Master Plan had also been shown to United Progressive Alliance chairperson Sonia Gandhi and she had approved of it. be undertaken to prevent violations . “The present draft of Master Plan 2021 lacks vision and foresightedness and is, therefore, unable to cope up with the growing requirements of people of Delhi,” alleged several trade leaders, doctors and lawyers from the Capital at a joint press conference held today under aegis of the Confederation of All India Traders (CAIT). They presented a memorandum of demands to the Urban Development Minister Mr Jaipal Reddy and state minister Mr Ajay Makan. They demanded that chemist shops and other establishments providing health related facilities should be allowed throughout the Capital without any condition. It is submitted that existing nursing homes, doctors’ clinics, pathological and research laboratories, etc should be allowed across Delhi and proper mechanism should be developed for future growth of medical facilities. “Scope of Professional Category should be enlarged to cover other categories like any non-stocking business or professional activity not restricted under law. Further, professions paying service tax should also be included in Professional category,” the traders demanded. Ban on commercial activities in colonies categorised as A and B did not sound well, they said. The traders body demanded ‘arbitrary’ powers of RWA’s regarding continuance of commercial activities should be withdrawn and the trade bodies operating in respective areas should be given equal status at par with that of RWA’s wherever it was deemed necessary. All pre-DDA Act colonies, resettlement colonies including post-Partition rehabilitation colonies like in Rajouri Garden, South Extension, Lajpat Nagar etc should be declared as commercial areas and be given status of rehabilitation colony, the CAIT demanded. Walled City and its Extensions, Karol Bagh and other areas bearing predominant commercial use and declared as commercial in MPD-1962 should be declared as fully commercial areas and no conversion charges should be Levied, the trade leaders said. Localities developed by Municipal Committee or any other agency prior to 1962 like Kamla Nagar etc should be declared as fully commercial areas because of enormous and large commercial use of properties. Lal Dora and extended Lal Dora Area should be treated as one entity and commercial activities may be permitted on narrow streets below 6 metre width in Lal Dora Area and extended Lal Dora Area. Accusing the Delhi Government of ‘misleading’ the people, the Bharatiya Janata Party (BJP) today claimed that the Master Plan 2021 was not going to provide any relief from sealing and demolition drives. BJP Delhi Pradesh President Dr Harsh Vardhan said that the implementation of Master Plan was already delayed by six years. The new Master Plan was almost ready and will be presented before the board for approval and implementation on December 29. After its approval, the Master Plan running into 200 pages will be implemented in January 2007. “In such voluminous document, there is no mention about relief from sealing and demolition. Most likely, the sealing and demolition drives will continue the next year too,” Dr Harsh Vardhan claimed. He expressed doubts on the utility and practicability of the Master Plan 2021. He said that the quittance for the missed development and the relief, which should have been given through the Master Plan during the last six years, have not been mentioned in the proposed Master Plan. In the Master Plan, the role of the DDA had been limited to a planner only, he claimed. The DDA will become “a white elephant”, he added. There was great stress on multi transport system, roads of Delhi and sky scrappers in the proposed Master Plan, he alleged. This year, 1801 people were killed in accidents due to bad roads, he alleged. “The multi-transport system about which Delhi Chief Minister Sheila Dikshit has been talking loudly is only mentioned on the papers. The Chief Minister has declared that in the new year, 800 ultra modern low-floor buses will run in Delhi. But the fact is that not a single corridor is ready for these buses as yet,” the BJP leader claimed. The 140 MGD capacity Sonia Vihar Water Treatment Plant was at present supplying only 35 to 50 MGD water, he claimed. NEW DELHI: Under sustained attack from BJP for failing to address the sealing crisis in the Capital, government on Monday promised to finalise the Capital's Master Plan 2021 by January end in an attempt to regularise most of the unauthorised and illegal constructions. Replying to a heated discussion in LS, urban development minister Jaipal Reddy said that 1,400 illegal colonies would be regularised by a decision of the Union cabinet. Under attack from the opposition BJP and pressured by Congress MPs representing Delhi, Reddy made it clear that government would do everything possible to blunt the edge of the sealing operation launched under the Supreme Court instructions. Admitting that the government agencies' control over land in the Capital "did not reflect the ground reality", Reddy said that his ministry was trying to "freeze the situation as it exists today and suspend any punitive action" against traders and other establishments accused of violating law. Government, he pointed out, has already issued a public notice proposing changes in the masterplan. He claimed that 90% of the people affected by the sealing operation had got relief. The process of regularising the unauthorised buildings is on, Reddy said. He said that of the 14,033 shops sealed, 9,000 had already been desealed. The government, he said, will build one lakh dwelling units in the next two years in the Capital. He said there was no threat of demolition to schools earmarked as illegal constructions and the government would continue to give them protection. Earlier, BJP deputy leader V K Malhotra said that it was quite surprising that Congress MPs like Sajjan Kumar were "congratulating" the Centre. The relief from the court was temporary and it was extraordinary that Reddy had, just a day ago, said that he did not know when the new masterplan would be ready. Malhotra pointed to Reddy's past statements when he had said that the BJP MP was spreading panic to point out that the Centre had completely messed up handling of the sealing crisis. "You said nothing would happen. But it did. We told you that the law to put off sealing by a year will not work, but you insisted it would," said Malhotra. He also pleaded with the government to change its position that there would be no small shops in the A and B colonies. Participating in the discussion, minister for science and technology Kapil Sibal called for adopting newer technology to deal with the problems thrown up by the city's enormous growth. Claiming the present law to be ‘outdated' in coping with issues like massive migration into Delhi and resultant pressure on its infrastructure, Sibal said the judiciary too should accept this reality. and programming improvements, and identify strategies necessary for implementing the recommendations. holding public workshops, mailing surveys to households, meeting with seniors, user groups, the Development Services Department, etc. community-needs assessment in place by the year's end. Land acquisition & capital projects priority rankings, Capital budgets, Potential funding sources, Estimated operation and maintenance costs, Priority recommendations, Action plans. NEW DELHI: Unscrupulous builders may soon find it impossible to hide behind terms like "super area" to conceal the real floor area of apartments they are selling. to exclude common spaces and balconies while spelling out the floor space of a residential unit. The proposed Bill, a draft of which the Centre is currently working on, will make it mandatory for the builder to specify the area of an apartment in the sale agreement. Besides, a break-up will have to be provided of what the builder is charging for the apartment and a separate calculation for charges levied for common spaces like corridors, parking and lifts. of apartments in the same block having different floor areas and builders even adding parts of common spaces into the floor area of a flat. floor area ratio (FAR) norms for vertical development of the city. 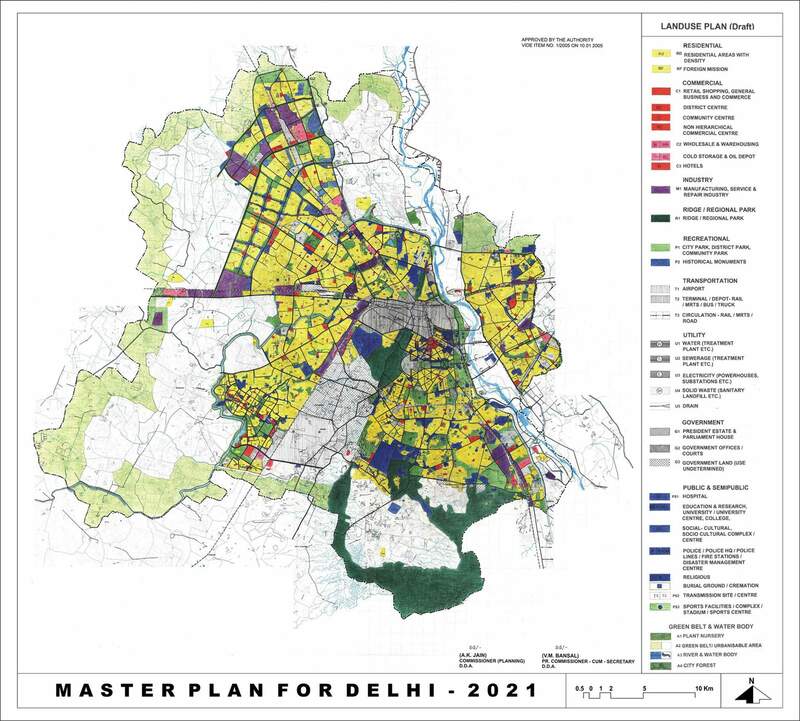 This is the first time a time frame has been given for notification of the new Master Plan for Delhi. Mr. Maken made this announcement while releasing an ASSOCHAM study on Housing For All here on Monday evening. Authority and would be introduced during the winter session of Parliament. growing needs of housing and even allow single-floor house owners to convert their dwelling units to multi-storied houses to maximise the use of their land. the Government was considering allocating them separate sites to build new hotels as that would help meet the growing demand of tourists, he added. before it is introduced in Parliament. commercial activity has already intruded formulation of a balanced policy of mixed use considering its environmental impact and the socio-economic need of the society is of utmost public importance. On a single premise or in an area, mixed residential and non-residential activity has its positive and negative environmental and socio-economic impacts. environmental impact and provision for safe and easy traffic circulation and adequate parking. ayout plans along with the planning of Commercial Centres for which appropriate provision of parking, circulation and services be kept in view. on different floors be specified. importance shall not be covered under the Mixed use Policy. and polluted substance or process shall not be permitted. 7. Any other activity, which may be notified from time to time. i) Mixed use shops only on ground floor upto the maximum of ground floor coverage. boundary and shall be only used for parking. iii) Parking @ 2.0 ECS per 100 sq.m. shall be provided within the premises. iv) Cost of development of parking / common parking @ 2.0 ECS per 100 sq.m. in commercial areas shall be payable by the beneficiary. v) For Master Plan Roads, the premises/ activity areas should be approached from service lane and direct approach from the main road should be discouraged. professional like a doctor, lawyer, architect etc. would be separate and only out of office hours services could be rendered from the residential premises. The following specific activities may be permitted in residential premises on plots of a minimum of size of 209 sqm. facing a minimum road width of 18 mts. ROW (9mts. in ‘Special Area’ and 13.5 mts. in Rehabilitation Colony). Pre-Primary school which should be restricted only on ground floor equivalent to the permissible ground coverage. laid down by the Authority from time to time. i) The quantum of Mixed use Area and its allocation/ distribution for various categories of Residential areas in New Area shall be specified in the layout Plans. ii) The layout plans would clearly earmark areas/ plots for Mixed use, preferably located opposite/ adjoining designated commercial areas. iii) The Plan may provide for mixed use on residential plots at appropriate locations grouped together facing 18 mts. ROW roads and above as per requirements. The quantum of area to be worked out and common Parking areas to be marked in the plan. v) Already approved Zonal Development Plans and land use modifications. with the regulations as given in the Development Code and respective chapters. zones ‘G’, ‘H’, ‘M’ and ‘P’ (Narela) are at various stages of approval. * Zone may be redefined in consultation with the concerned agencies. Structure Plan should be formulated within one year of the finalisation of the MPD-2021. In absence of a Zonal Plan of any area, the development shall be in accordance with the provisions of the Master Plan. purpose of development since it is not possible to develop the old built up area in accordance with the general use zone regulations given in the Development Code. The development within this area shall be carried out as per the norms and regulations as given in the relevant chapter.